Scent Detection - How Does it Work? It's probably safe to say that most of us began hunting with a rifle. As our skills evolve, we look for ways to rediscover the challenge. Inevitably we turn to bowhunting. But its not as simple as just picking up a bow and hitting the woods. A learning curve exists. As with any activity, there are right and wrong ways to get started. Suffice it to say, if you're thinking about bowhunting, here are a few tips to help put you on the right track. In this technological age of opportunity, we are no longer a hunting and gathering society - at least not for the sole purpose of survival. Agricultural and technological development has displaced our need to hunt. For most outdoorsmen, hunting is a sporting activity. Many are seeking alternative methods of pursuing game. 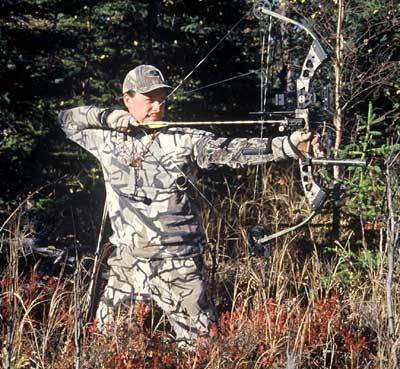 To this end North Americans in particular are recognizing the benefits, challenges and accessibility of archery hunting. Where I hunt, fall seasons typically begin in late August and run straight through until the beginning of December. Relative to the much shorter rifle dates, extended archery seasons offer more opportunity to enjoy the outdoors. As well, where some species are restricted by the need for a special license acquired only through the application/draw method, these same animals may be open to the hunting archer under the authority of a general over-the-counter license or tag. Each state and province will have different regulations dictating harvests with a bow. I don't know about you, but when I was first introduced to bowhunting, it was the most exhilarating opportunity I'd experienced as a sportsman to date! 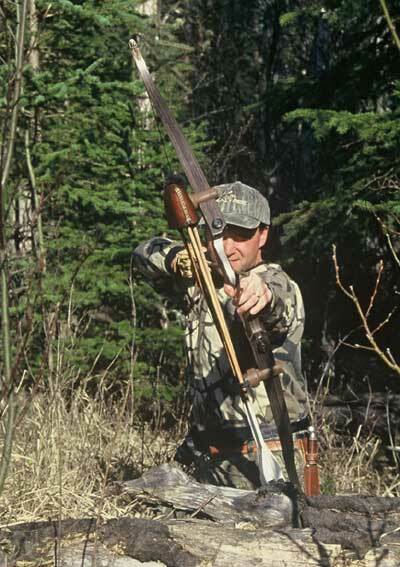 Not only was the concept of being close enough to game to shoot with a bow exciting, but also the idea of a silent weapon certainly held intrigue. My first question was "how much will it cost?" As with any sport, its up to you the hunter/consumer. First the question should be asked, do you want to use a traditional (i.e., a long bow or recurve) or high-tech (i.e., a compound) bow? This decision should be based on your personal motivation and the amount of time you're willing to invest. While considered by many to be pure in form, traditional archery requires more practice. Most of us have limited time to spend in the field as it is. Where accurate use of traditional equipment is basic at best, it requires a skill learned largely through repetitious shooting - much more so in fact than shooting a compound. Alternatively, compound bows are loaded with all the bells and whistles. Sights, overdraws, kisser buttons, and more, all contribute to pinpoint accuracy to accomplish precision shooting. With wheels and cams to relieve a percentage of overall draw weight, compound bows can be more forgiving. With today's solocam bows, tuning is less frequently required, but diligent attention to fine adjustments in centershot, arrow rests and sight pins is always important. A quality longbow or recurve will set you back anywhere from $200.00 to $800.00 depending on the make and design. Accessories like a quiver and a dozen arrows could run you roughly another $100.00 give or take. For the neophyte archer, consistency and accuracy is nowhere near that of the techno-equipment. If you're interested in traditional archery, be prepared to invest considerable time and effort. In terms of brand names, I personally shoot a Jack Kempf recurve and cedar shaft arrows. There are many different brands out there, and the key lies in how they feel to you the archer. Yes, you can buy second hand equipment, and there are deals out there but its "buyer beware" with used equipment. It can be difficult to tell if limbs are fractured, or if the bow has been dry fired, i.e., drawn and released without an arrow. In general it pays to buy new. For a few extra dollars, you can have peace of mind about your equipment. When it comes to compound bows, you can get started for anywhere from $300 for a bow, quiver, sights, and arrows, on up to $1,000.00 plus. The sky really is the limit. I recommend any of the more common brand names such as Matthews, High Country, Darton, Jennings, Hoyt, PSE, Martin, and Browning. Important considerations are draw length, poundage, shooting style (i.e., fingers or release), sights/no sights, and of course matching your arrow shafts to the bow and draw weight you're shooting. Remember, with todays compound bows, short axle to axle lengths typically require the use of a mechanical release. One of the most important considerations is draw length. Simply put, if the bow doesn't fit, its useless to you! Draw length refers to the distance between the arrow rest and the knock point at full draw. 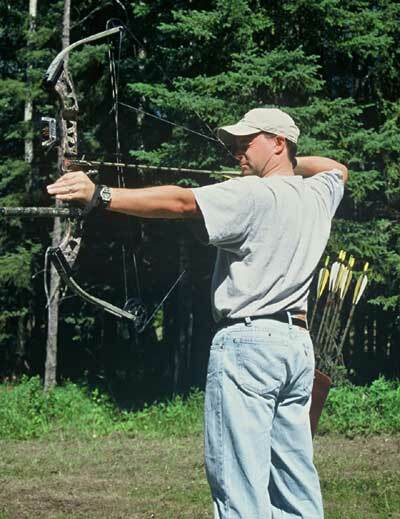 Typical draw lengths on adult men's bows range from 28 inches to 31 inches. Women's and children's bows are made with shorter draw lengths. Each individual's draw length will also vary between finger and release shooting. For example, my draw length is 30 inches when I shoot fingers, and 29 inches with a release. Technicians and shop assistants will help you in determining the correct draw length when purchasing a bow. I often see folks at the archery range who seem a bit "over bowed". What I mean by that is that they're drawing too much weight. While some might argue, bigger is not necessarily better in this game. Yes, arrow speed is increased with higher poundage, but accuracy is often sacrificed as a result. It's difficult to suggest a good starting point because it is relative to the equipment and the size/strength of the person shooting the bow. On average though, most men begin shooting between 60-65 lbs., and most women range anywhere from 35 on up to 55 lbs. to start. Keep in mind that for the purpose of hunting, most jurisdictions have a minimum poundage regulation for hunting, e.g., a draw weight of at least 40 lbs. Be sure to check your state or provincial regulations for details. Once the bare bow is purchased, the real fun begins. Accessories can be overwhelming. Take it from me ... start with the basics. Basic pin sights, a side mount quiver, and if necessary, a stabilizer and kisser button are really all that's needed to get your feet wet. The sky's the limit when it comes to other accessories. Once you've acquired a feel for your bow, and decided what you feel comfortable with, then try out some alternate accessories. Overdraw systems that mount onto the riser, allow for shorter arrows, and hence increase arrow speed. Hip and back quivers are alternatives to the conventional side mounted units. Beyond these basics of the bow, be sure to purchase the correct size arrow shafts. Arrows are graded based on thickness of their wall and diameter of the shaft itself. Individual bows require different sized shafts, in order to ensure a compatible arrow flex upon release. Your local archery shop technician can assist you in determining which arrows to use. Manufacturers publish charts to help match the arrow to your bow. And, as if that's not enough, there are a variety of arrow types combined with fletching combinations to choose from. The most economical are aluminum shafts. More popular these days are the carbon arrows, and of course for many traditional shooters, the good 'ol cedar shafts are still widely preferred. Personal preference dictates whether plastic or feather fletching is used. There are certainly pluses and minuses to using either one. Plastic is more weather proof and less expensive. Feather fletching, while providing a more stable arrow flight, once wet, becomes virtually useless. Archery involves drawing, aiming and releasing the arrow. Stance and technique are as important with a bow and arrow as they are with a golf club and ball. If possible, visit your local pro shop and start out right by taking a few lessons from a qualified archery instructor. In the spirit of keeping things simple, I recommend learning to shoot with fingers first. If your bow can be shot with fingers, do so for at least a short time. Either a glove or shooting tab will allow you to acquire a true feel for the string. Remember, torsion and inconsistent releases can wreak havoc with arrow flight. The key to accurate arrow placement lies in proper shooting form, a smooth release and follow through. In turn, when shooting with fingers becomes second nature, consistency follows close behind. Most compound shooters these days use mechanical releases. These are simply mechanical trigger attachments that are strapped around the shooter's wrist and extend outward to clip onto the string. Upon drawing the bow, the trigger is squeezed much the same as one would squeeze the trigger to fire a rifle. These units serve to increase overall accuracy by eliminating unnecessary torsion. While finger shooting involves the release of two or most often three fingers, mechanical releases only have one point of string contact at which to let go. The biggest downfall of course, is that they are mechanical. Hence, it can break, and if you're in the field when it does, you could be out of luck! I've even forgotten mine in my vehicle, and consequently was forced to go back to finger shooting. While some archers continue to shoot instinctively even with a compound bow, this is rare. Sights establish an aiming point and are used by the majority of compound shooters. Options are many including pins, fiber optics, pendulum sights and more. Fixed sights require fine-tuning to establish pinpoint accuracy. The relatively new pendulum sights do what the name implies, pivoting the aiming point on a pendulum that reacts to the angle of the bow. The decision about which sight to choose as a beginning archer will inevitably be based on preference. In my opinion, fixed fiber optic sights are most practical for bowhunting. As a new bowhunter, its important to realize that there is a real difference between shooting at a stationary circular target as opposed to a moving animal. Repetitive practice drawing and aiming is an important element of any precision shooting sport. By visiting your local pro shop and range you'll learn a great deal. Take advantage of knowledge gained by other bowhunters. The best tip I can offer is to ensure that your field tips are shooting well at 10, 20, 30, and 40 yards. Then, several weeks prior to the season opener, be sure to accurately sight in your broadheads. Note that broadheads will almost always shoot differently than field tips and your sight pins will most likely require some adjustment. 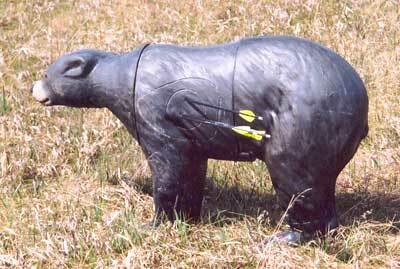 As far as realistic field practice is concerned, 3D targets can provide the next best thing to hunting in the field. Well-known companies like Mackenzie and Delta manufacture lifelike targets. As a beginning archer it's a good idea to practice out to 40 yards, but try to limit your first shot at an animal to under 30. Beyond this, remember, practice makes perfect! Take extra cautions to avoid wounding and losing game. When it comes to your first bowhunt, it is fundamentally important to understand how a broadhead kills. While bullets kill through a combination of shock and hemorrhaging, an arrow tipped with a broadhead causes fatal damage by hemorrhaging exclusively. For this reason, it is imperative to deliver your arrow into the vital organs. Various shot placements will eventually kill an animal, but the goal is to take a broadside or quartering away shot. Penetration and ideally a pass through hemorrhaging both lungs is the ideal. After releasing an arrow, a bowhunter can often tell whether they made a good shot or not. But sometimes it's difficult to tell, as the animal runs out of sight. As a rule, wait at least 30 minutes before tracking. Begin at the point of impact, mark the first blood and slowly follow the trail. With a good double lung hit, most animals will rarely travel more than 40 yards. I've had moose fall over on the spot, and I've had deer run several hundred yards. I've recovered arrowed deer after 300 yards, but this is certainly an exception to the rule. Generally speaking, a well-placed arrow will bring an animal down in under 50 yards. For more information, or to give archery a try, check out your local archery range or pro shop. In addition to the basic equipment, new bowhunters will quickly realize a need for other accessories such as treestands, good camouflage, scents, broadheads, and the list goes on. Despite the initial investment, it's easy to get started. © Copyright 2019 lwrranch.com All rights reserved.